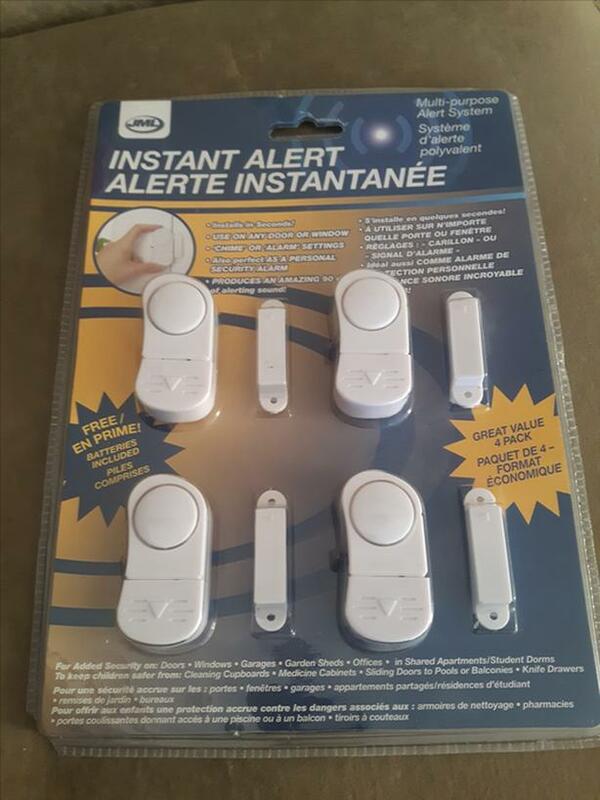 Unopened multi-purpose alert system for use on any door or window. Package says "for added security on doors, windows, garages, garage sheds, offices, in shared apartments, student dorms. Keeps children safer from cleaning cupboards, medicine cabinets, sliding doors to pools or balconies, knife drawers." Whew! That's a lot of protection for a small price! Looks like there are 4 actual alarms in the package. Each alarm uses three 1.5V LR44 batteries.